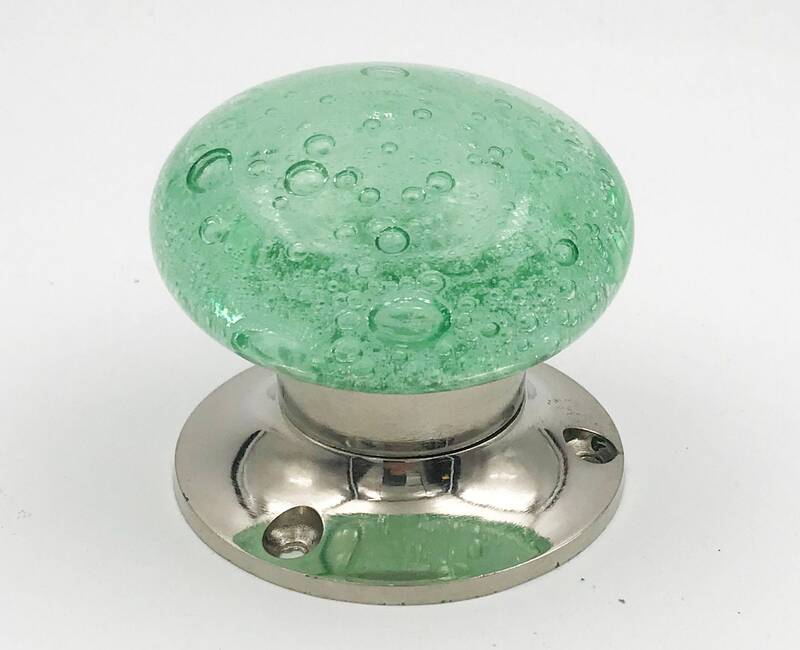 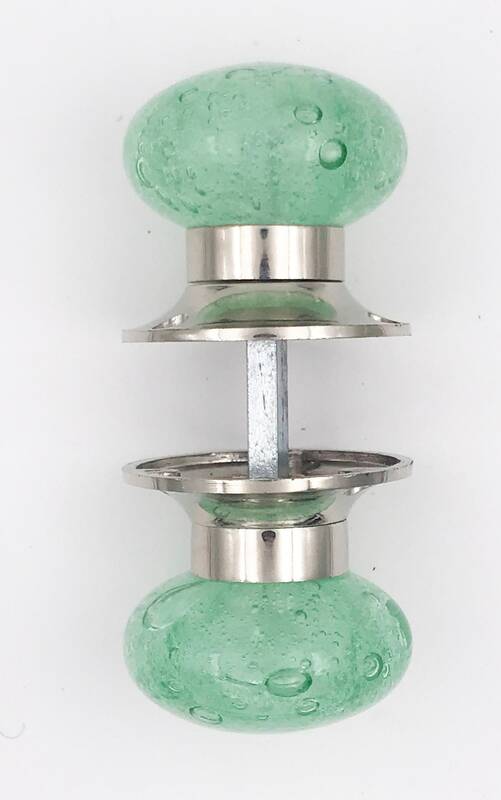 Green Bubbles Glass Interior Entry Door or Closet Knob set with a Chrome color finish. 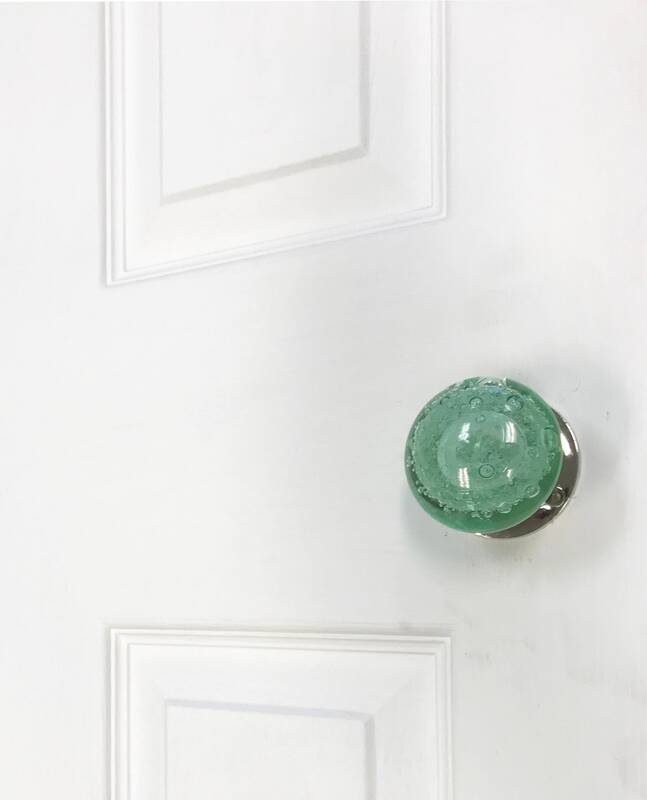 These can be used on bedroom doors, bathroom doors, office/den doors or closets. 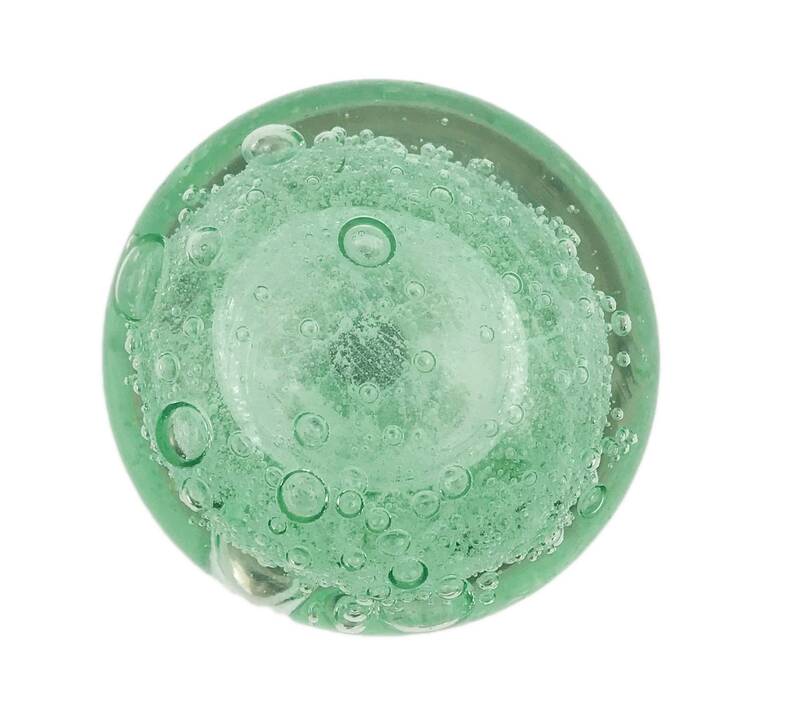 These match our green bubble glass drawer, cabinet knobs. 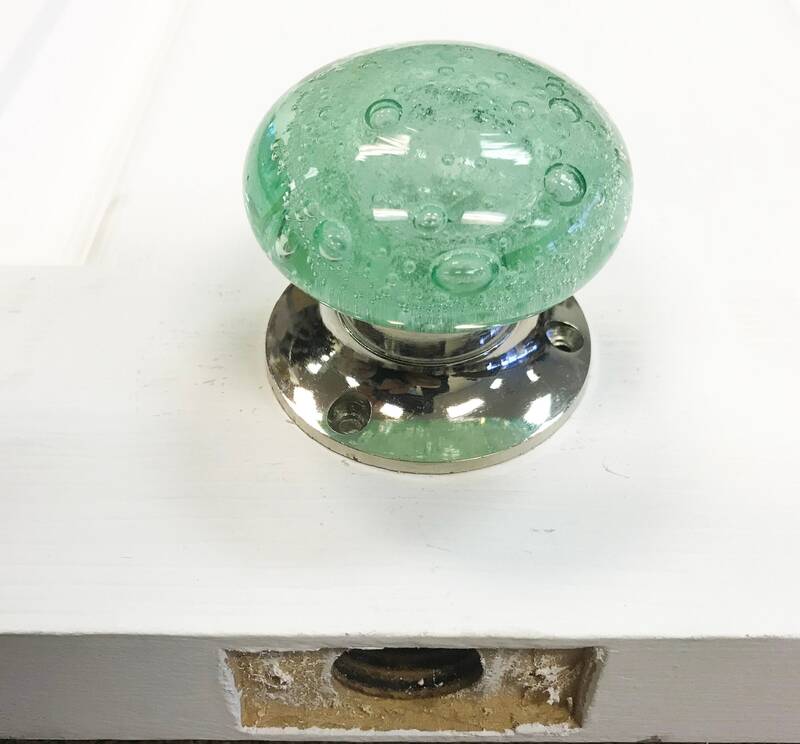 - Comes with 2 glass door knobs and 1 metal rod to hold the door knobs together. 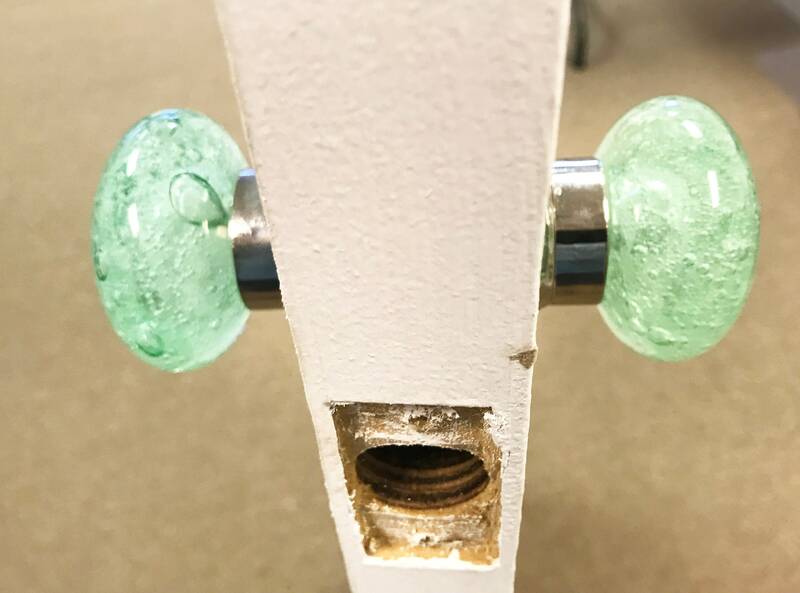 Door knobs do turn.